Obituary for Laurel Ettien Sr. | Wiesner & Massart, Inc.
Laurel Ettien Sr, 80, Luxemburg, passed away Tuesday, February 5, 2019 at St Vincent Hospital. Born on December 2, 1938. He was the son of the late Art and Lillian (Boucher) Ettien; raised by George and Selena Boucher. He married Barbara Kurowski on August 20, 1960 at St Willebrord Catholic Church, Green Bay, WI. Laurel was a cheesemaker for over 43 years. He learned cheesemaking at Coleman and Rosiere cheese factories. On Dec 2, 1968, he was hired at Tonet Farmers Co-op. ; he made Cheddar, Colby, Monterey and Kuminost cheese for the Marketing Association of America (MAA). On March 3, 1979 he was the recipient of the L.D. Schrieber Award of the highest percent of State Brand quality cheese received by the (MAA) for the year 1978; he was very proud of this accomplishment. On May 2, 1997, Laurel retired from cheesemaking. During retirement Laurel enjoyed cutting lawn, putting up his holiday decorations and teasing mom. He could B.S with the best, and told the best stories. 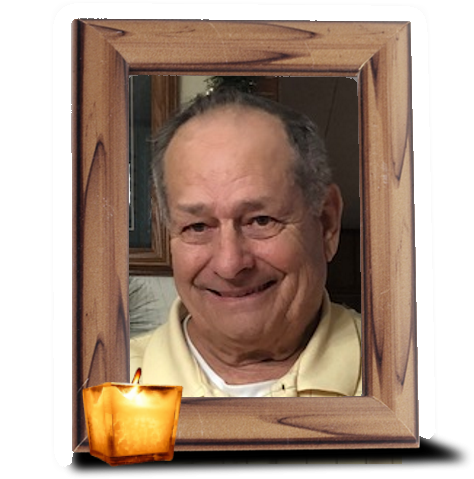 He is survived by his wife, Barbara; three children, Julie (Randy) Hallet, Casco, Laurel Jr (Jennie) Ettien, Luxemburg, Kevin (Kim Jonet) Ettien, Brussels; one grandson Joshua Hallet; four brothers in law; George Dart, Jr, James (Sandy) Kurowski, Wally (Jolene) Kurowski and Richard (Verna) Kurowski; many nieces, nephews and other relatives. Laurel was preceded in death by his parents Art and Lillian Ettien; Grandparents George and Selena Boucher; one brother James Ettien and one sister Shirley Dart. Family and friends may call on Saturday, February 16, 2019 at Holy Trinity Church in Casco from 9 – 11 am; Mass of Christian Burial to follow at 11:00 am with Fr. Dan Schuster officiating. Burial will be at a later date at St. Odile Cemetery, Thiry Daems. Wiesner & Massart Funeral Home - Casco assisted the family. Online condolence messages may be shared at www.wiesnermassart.com. The family would like to extend a special thank you to the first responders and Luxemburg Rescue squad. Also, a special thank you to the staff at St. Vincent Hospital.